Your poll runners are myself (posting, playlisting), Moka (posting, graphics) and Seandalai (organization and vote tabulation). With each winning song, I’ll link to the appropriate ILX thread and a pair of representative album reviews. Moka needed an extra day or two to organize, so I’m starting us for the week; she may organize differently once she’s back, so don’t get too comfortable with the format. I got a busy day tomorrow and, given that I need to be sufficiently productive tomorrow, we’re getting going in the wee hours rather than in the EST morning. As per the tracks poll, bragging rights to you if you can name the #78 before we finish. That’s housekeeping taken care of; I’ll try to take it to #61 before Tuesday. Lol, everyone is asleep. Ah well. Needs must. Ooh, glad this got in. dang the borad is genuinely dead, huh. Alright, maybe i put a pin in it and come back in the morning. Give us #76 and then return in the morning. Its unlikely I will have heard any of these albums, so it only seems fair to comment if anything good pops up in any skipping through! A friend of mine pointed out how much his voice sounds like David Gray and I can't unhear it. Great, now I can't either. there were a few good tracks on Freedom but it didn't really click for me overall, i'm not really sold on the sort of loops he builds his songs around i guess? Good timing for antipodeans and commuters in Europe / the UK but not many others. Anyway, looking forward to this rollout despite the dull first cab off the rank. 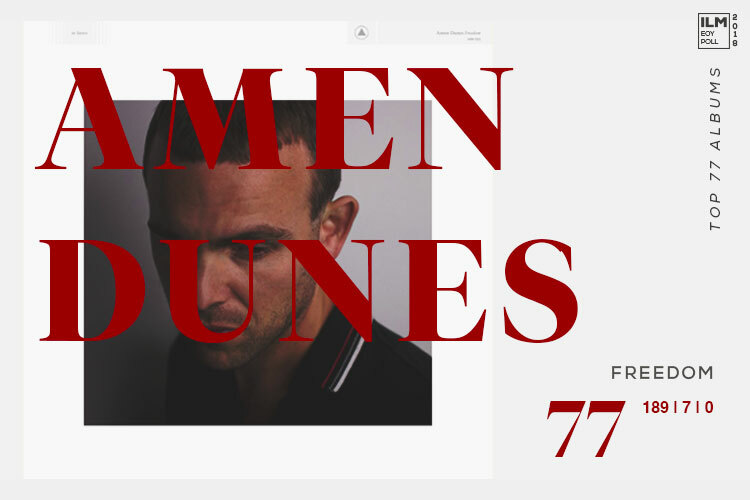 strangely, i listened to that amen dunes album this afternoon, for the first time in ages. i've listened to it about 10 times and i still have no idea if i'd recommend it to another person. but yet i keep coming back. On an unrelated note, are there any iOS apps that make browsing ILX on mobile less of an early 00s experience? Totally going to miss the first ten of these before I wake up tomorrow. any predictions out there for what's going to win this year? You could always vote or start compiling a shortlist! The 2018 ILX Metal n' Heavy Rock Poll VOTING + CAMPAIGNING thread! Ballots due Saturday, Feb. 9th! I thought Christine & The Queens would have been a contender for #1, but they didn't feature strongly in the tracks so have tempered my expectations. It'll be an 'M': Musgraves, Monae or Mitski. For all the love I can't see 1975 reaching the top spot. Autechre cracking the top 20 would be sweet. Skipping 1830 messages at this point... Click here if you want to load them all. I can't even remember the last time I went to the Electric Fetus there. Could be a couple of years ago now. I usually pop into the one in Duluth when I'm there but often leave empty handed. I'm more of a vinyl guy and the selection isn't always the best. Many thanks to the poll-runners! I've never voted in one of these previously, because I don't ordinarily think in "x of the year" terms. But I definitely heard countless great things I might never have got around to as a result of the playlists and discussion, and I'm way better informed about recent releases than I have been for at least a couple of years. It's quite difficult to complain about Chvrches not placing when Charlie Puth sucked the credibility out of the roll-out pretty much near the beginning. thanks to the poll runners- great images again ! Surprised Chvrches didn't place. Wasn't their previous album pretty well loved here? Second Chvrches album is great, new one is shite but the one thing an ILM poll does NOT need is more watery electropop. I scrolled through the entire Top 10 after getting in from the pub but somehow missed Sun-El Musician at #9. When I saw Kasey at #2 I thought he'd won and celebrated like he'd just won the World Cup. The Low record is clearly good but, I dunno, I just hope I'm rarely in the frame of mind to actually want to listen to it. Thanks to everyone who organised it. For all the US dominance it actually felt like a more globally diverse list than we've had in a while. There were people that thought the second Chvrches album was shite too. They were also wrong! Was almost quite enjoying the Tracey Thorn record until that 8-minute thing turned up and drowned me. Morning is not the time for Yves Tumor so I'm onto MGMT now. I mean the album starts quite strong (in an objective, not-entirely-for-me sense) but will it be able to sustain itself beyond the first four tracks? I love the Julia Holter album even if it was the first time she didn't make an album that was better than her last one. I might be on my own on that one. I agree. HYIMW was her best yet. I know Metal is niche around here but we do take a loose definition of the word and its really a noisy/heavy rock/metal and subgenres poll which means we have nominations . It's also not US-centric at all and many non-English singing bands get in. So if everybody could just take a wee look at the nominations and if you like anything please vote. So where DID Koenji Hyakkei place? The second album was great and was worthy of making the top 20 that year. The new one deserved to miss out. I'm surprised it got as high as it did! Charlie Puth's transformation from "terrible joke" into "legitimately decent pop musician" has been fascinating. I liked the singles off of his album a lot when they came on the radio, something I never would have guessed/imagined would happen after that terrible Fast & Furious song. i dug into Puth when he placed here and I'll agree that the the front half up until Patient is surprisingly good. It's when he dips into adult contemporary that he loses me completely; the james taylor duet is terrifying. But yeah, I associated him in 2016/2017 with the worst of pop and took to calling him "The Puth"
was that him who duetted with meghan trainor on that truly awful song? yes, will not embed out of self preservation but it includes the phrase "let's marvin gaye and get it on"
The prog-rock synth that blows up midway through So Afraid is one of my favourite moments on the album. haha you're just trying to get imago to listen, right? It's a fantastic album, everyone should listen to it. 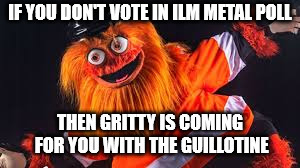 Love Gritty, hate metal. A true conundrum. Ach, you cannot even listen like a girl? Fair enough; then skip it and play "Babies" and "Dancefloor" after the midpoint on that album at least. I had never heard of The Armed before and god this album rules. I missed the last part of the rollout, thank you Moka, seandalai, ulysses for all the hard work! I had a lot of fun following these rollouts this year. I voted. A few of the albums I voted for made it. Best thing I hadn’t heard is probably Skee Mask (I guess the name threw me off). Also excited by a preview of Szun Waves. Album I was most surprised by not making top 77 was Konoyo. Did anyone post the ordered list (for copy-paste) and do we have the cool Moka-images list ?